Smoking kills half of all long-term smokers, each an average of 13 to 14 years early. Quitting smoking is one of the best things you can do for your health. Smoking is a deadly habit; it increases your risk for heart attacks, strokes, gum disease, lung disease, infertility and other health problems, including bone fractures and cataracts. It’s also the leading cause of cancer. Hypnosis as an aid to becoming a non-smoker is a powerful, safe and effective tool. It is natural, it has no side effects beyond putting the money you used to spend on cigarettes back in your pocket. Hypnosis can help you achieve the beneficial health effects without relying on prescription drugs, nicotine replacement therapy, and other standard smoking cessation aids. Hypnosis activates an altered state of consciousness in which a person is fully awake and in full control of his free will while being deeply relaxed and more susceptible to suggestion. The person is required to access his subconscious mind to make lifestyle changes by changing the thoughts that encourage his smoking habit. Your own will and determination to stop smoking are mandatory requirements to make hypnosis successful. Hypnosis is most effective when you really want to quit. Here are some factors that will make Hypnosis not work for you. 1. Severe neurological or psychological disorder. 2. You do not believe in hypnosis and you convinced yourself that it will not work for you. 3. Inability to let go or follow instructions from others. 4. You are not willing to quit, but only forced into it by someone else. 5. You are not willing to make some efforts for a few days allowance for a short transition period. 1. Hypnosis enables a permanent change by reaching the subconscious mind and making the goal of quitting attainable. 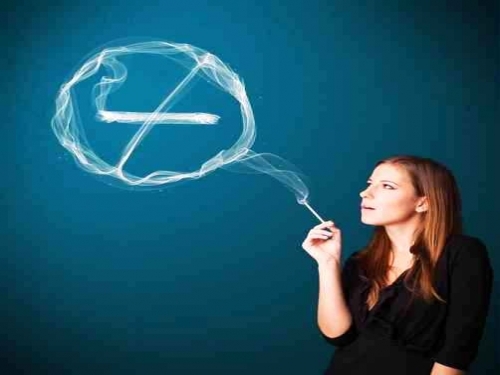 Hypnosis reinforces your choice to succeed by building a strong desire to stop smoking. 2. Stop smoking hypnosis is more effective than nicotine patches, gum or lozenges because it teaches the individual that he or she has the power to quit smoking. 3. Hypnosis makes the goal attainable because the person truly wants to change. The desire to change must be strong and not simply due to the knowledge that a person’s health will improve if he or she quits smoking. 5. Enables a person to ignore the reason that causes smoking by changing what cigarettes mean to you and the connections they have in our lives. It removes the need, and the desire, to smoke. 6. Matches subconscious negative cravings while implanting suggestions or alternative forms of behavior that allow the individual to choose his or her response because he or she is better equipped to fight the urge to smoke. 7. Stop smoking hypnosis lessens or completely eliminates withdrawal symptoms by making the behavior a personal choice rather than a habit and helping the individual to occupy his or her mind rather than focus on physiological responses. After 20 minutes: Your blood pressure and pulse decrease. Blood pressure and heart rate will return to normal. The temperature of your hands and feet increases. After 8 hours: The carbon monoxide level in your blood returns to normal. Oxygen levels in your blood increase. After 24 hours: Your chance of heart attack decreases. Your body will start to clear out the mucus built up in your lungs. After 48 hours: Your ability to taste and smell starts to return eating becomes more pleasurable. After 72 hours: The bronchial tubes (airways) relax. Breathing will become easier and your energy levels will increase. After 1 month: The appearance of your skin will start to improve. After 1 – 3 months: Your circulation improves. Your lung function could improve by up to 10%. After 1 to 9 months: Tiny hairs in the lungs regrow, increasing the lung’s capacity to handle mucus, clean itself, and reduce infection. Coughing, sinus congestion, fatigue, and shortness of breath also decrease. After 1 to 5 years: Your risk of dying from heart attack is cut to half that of a lifelong smoker’s risk. After 10 years: Your risk of dying from lung cancer drops to almost the same rate as that of a lifelong nonsmoker. Your risk for mouth, larynx, and other cancers decreases.